Business Secretary announces a package of measures to ensure hardworking people receive the pay they are entitled to. A package of measures to ensure hardworking people receive the pay they are entitled to is being announced today (1 September 2015). There is no excuse for employers flouting minimum wage rules and these announcements will ensure those who do try and cheat staff out of pay will feel the full force of the law. This one nation government is committed to making work pay and making sure hardworking people get the salary they are entitled to. A new team of compliance officers in HMRC will investigate the most serious cases of employers not paying the National Minimum Wage and National Living Wage when it is introduced in April 2016. The team will have the power to use all available sanctions, including penalties, prosecutions and naming and shaming the most exploitative employers. The enforcement budget for the National Minimum Wage and Living Wage will also be increased in 2016 to 2017. Future budgets will be agreed as part of the Spending Review process. Employers who fail to pay staff at least the minimum wage they are legally entitled to will have to pay double what they do now. This reform is intended to increase compliance and make sure those who break the law face tough consequences. A new Director of Labour Market Enforcement and Exploitation will be created to oversee enforcement of the National Minimum Wage, the Employment Agency Standards Inspectorate and the Gangmasters Licensing Authority (a non-departmental public body of the Home Office). The Director will set priorities for enforcement based on a single view of the intelligence about exploitation and non-compliance. The government has also announced today it will improve the guidance and support made available to firms on compliance and will work with payroll providers to be sure payroll software contains checks that staff are being paid what they are entitled to. 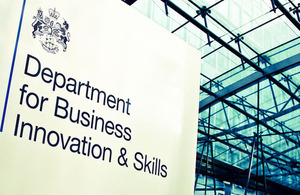 1.HMRC currently enforces the National Minimum Wage on behalf of the Department for Business, Innovation and Skills. 2.It currently conducts a programme of targeted enforcement, proactively focusing on high-risk sectors. It is currently engaged in activity in the social care, hairdressing and retail sectors. 3.In 2013, the department introduced a policy of naming non-compliant employers. Since then, 285 employers, who have owed over £788,000 in arrears, have been charged over £325,000 in penalties. HMRC puts forward the most serious cases of non-compliance to the Crown Prosecution Service for prosecution. 4.In 2014 to 2015, HMRC investigated 2,204 cases; found arrears in 735 cases for 26,318 workers totalling over £3.29 million; charged over £934,000 in penalties. The apprentice rate applies to apprentices aged 16 to 18 years and those aged 19 years and over who are in their first year. All other apprentices are entitled to the National Minimum Wage rate for their age. 6.Businesses or employees that have any questions about the National Minimum Wage can view guidance at www.acas.org.uk/nmw and ask questions at www.acas.org.uk/helplineonline.